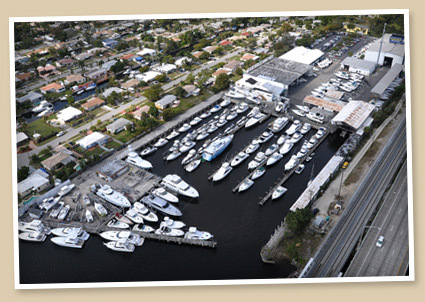 MariTech Services 12 acre facility is conveniently located on the New River in Fort Lauderdale, Florida, with 4 acres on the water and 8 acres on land. Home to the famed National Liquidators, our service facility has extensive space to work on your boat – in water or out of water. Covered work spaces are also available throughout the property. Please come by our facility for a tour!